NEW YORK — A fine art consultant in New York and an interior designer in Florida stole an elderly woman's identity and used it to bid millions of dollars on famous paintings and defraud the renowned Sotheby's auction house, federal prosecutors allege in court filings. Joakim von Ditmar and Antonio DiMarco are accused of using the identity of a wealthy, 80-year-old retiree to place winning bids on two paintings at a Sotheby's contemporary art auction in the fall of 2017. They snagged an untitled Mark Rothko for $6.4 million and "No. 12" by Ad Reinhardt for $1.16 million. The pair, though, were quickly found out and never took possession of the art, authorities said. Sotheby's became suspicious after a representative called the retiree and she disavowed any knowledge of the sales, a spokeswoman for the auction house said. She didn't even collect art, she later told investigators. "Our discussions with the purchasers raised significant suspicion and concern for the elderly client they purported to represent and we felt it was necessary to contact the FBI," Sotheby's said in an emailed statement. "We are pleased that the appropriate action has been taken and the victim has been protected." A lawyer who represented DiMarco said he is no longer involved in the case and doesn't know who represents him now. Sotheby's initially took a $5 million loss on the auction of the two paintings because it was contractually obligated to pay the seller, according to prosecutors, but the Manhattan auction house said it recovered much of that money after reselling the Rothko. The FBI said in court papers that DiMarco gave Sotheby's a letter— purportedly signed by the retiree— authorizing DiMarco to bid on her behalf. 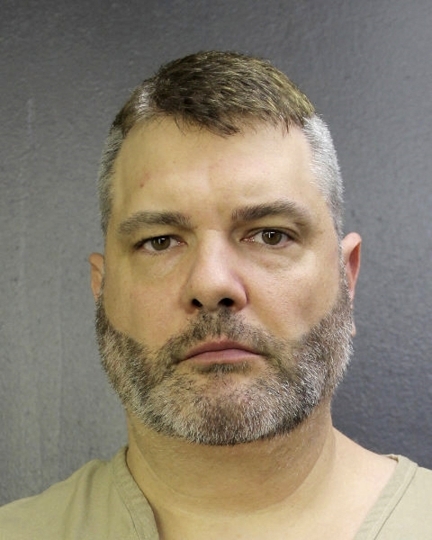 The woman told investigators that she hired DiMarco in 2014 to decorate her home in Bal Harbor, Florida, but that he took more than $400,000 from her without performing most of the services. The FBI said von Ditmar and DiMarco tried at least two other times to buy works of art using the retiree's identity. Each attempt failed, the criminal complaint said, when they couldn't come up the money to complete the purchase. "This really was not a good fraud," said Robert Wittman, a former FBI agent who founded the bureau's Art Crime Team. "They clearly did not think this all the way through."